Charles Dickens is intimately associated with London like no other author. The city features in all of his novels, usually as the main setting. Two years ago, we set ourselves the task of reading every novel and mapping their London locations. Here are the results. We've also included the many addresses that Dickens called home, so you can see how his novels often feature those areas he was most familiar with. Which is the most Londony Dickens Novel? We'd always thought of Our Mutual Friend or Bleak House as most evocative of London. Perhaps they are in terms of descriptive power. Yet for number of local locations, Barnaby Rudge tops our list with 105 different London locations — about one new location every six pages. Actually, we've cheated a bit and included Chigwell. The town is technically in Essex, but it's right on the border of modern London, and is also on the tube map. Were we to remove its four distinct locations from the map, then Barnaby Rudge would tie with Pickwick Papers on 101 locations. Which is Dickens's favourite place in London? 14 novels: Palace of Westminster (including the Houses of Parliament and Westminster Hall). Dickens began his career as a parliamentary reporter, so it's no surprise the corridors of power figure prominently in his works. The only books to lack a mention are the unfinished Edwin Drood, and Great Expectations (though this does include Westminster Abbey and Westminster Bridge, which means Drood is the only novel without any Westminster reference). 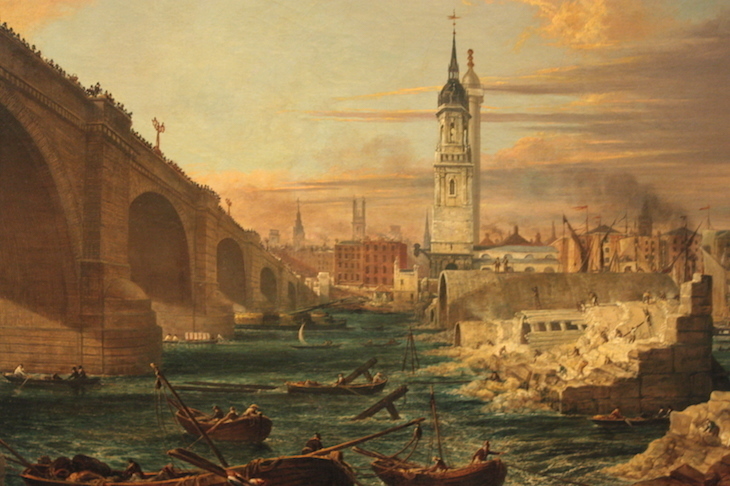 John Rennie's London Bridge (left) opened in 1832, while Dickens was a parliamentary reporter. It features in more of his novels than any other bridge. The medieval span is shown under demolition, to the right of the image. Although Dickens was wide-ranging in his exploration of London, he did leave out some notable areas and landmarks. Obviously, many of the areas outside central London are absent, but some notable parts of the centre of town are also lacking. 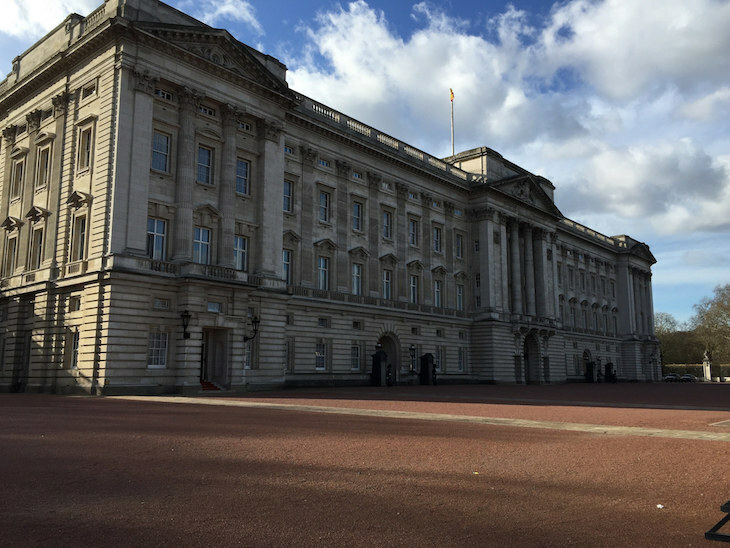 Buckingham Palace: Used as the main royal home from Victoria's accession in 1837 — the same year as Pickwick — the Palace was prominent throughout Dickens's writing career, yet he never mentions it in his novels. Dickens only visited Victoria and the palace once, just a few months before his death in 1870. The Palace. Ignored by Dickens. Green Park: The only big, central park to not get a mention. Railway stations: Dickens was writing during the boom years of railway construction. He talks about the railways on several occasions, most notably in Dombey & Son, and was himself involved in a train crash. Yet he never mentions railway stations in his works. Of the major termini (most were completed during his career) only Euston gets the nod (in Dombey, Chapter 20), and even then it is not named, but implied. Similarly, the London Underground is entirely absent from his works, though this is less surprising when one considers that it opened just seven years before his death. The South Bank and Bankside: Today, these riverside areas are thriving tourist destinations. In Dickens's time, the stretch was characterised by warehouses, docks and marshy land. The nearest Dickens gets to a mention is Astley's Theatre in Lambeth, where today St Thomas's Hospital stands. Waterloo and Blackfriars bridges are name-checked, but never where they lead to on the south bank. The map includes any location that would count as part of Greater London today, as that makes most sense to a modern audience. London has grown since Dickens's time, and many of the outer pins would not have been considered part of the capital during the author's lifetime. We've mapped all 15 novels plus the Christmas stories — five short, seasonal tales, the most famous of which is A Christmas Carol. We haven't included Dickens's other short stories, nor Sketches by Boz, which includes a mix of fiction and observational non-fiction. Maybe we'll add them later. 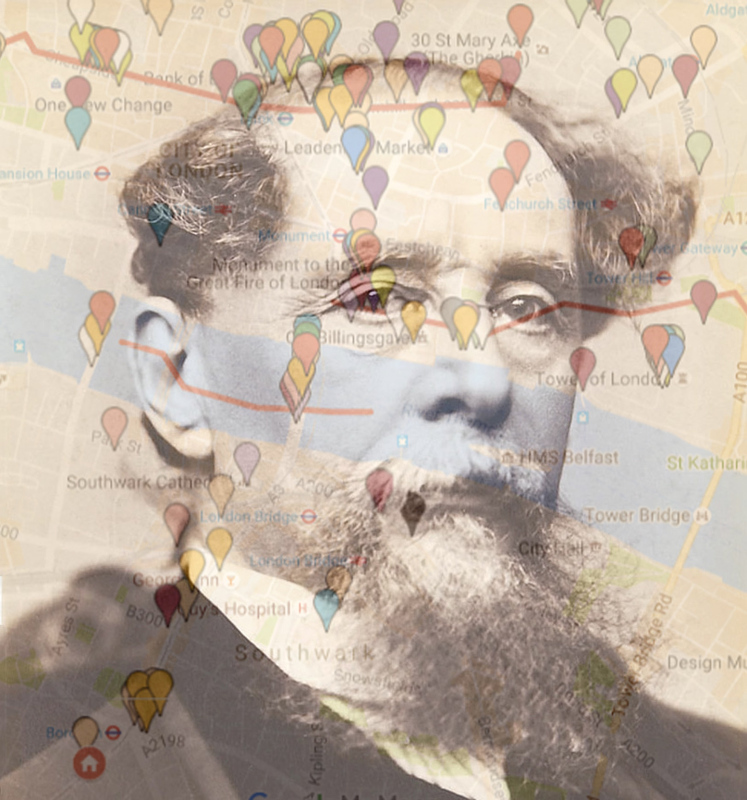 Dickens lived at at least 22 London addresses, which we've placed on the map. Some of his childhood homes are under dispute, but we've used the excellent The Victorian Web site as our main resource. A nod also to the wonderful work of David Perdue, who has a much more artistic guide to Dickens's London, available for purchase. Google Maps only allows 10 layers, so we haven't been able to give every novel its own layer.